General Lamps Blog - Hello Lumens, Goodbye Watts! I’ve always heard people talk about light bulbs as if their wattage dictated their use: A 60 watt bulb goes here, a 40 watt goes there… And you can see why, when you looked at the box the light bulb came in there was the wattage, proudly grabbing all the attention. So it made sense that when you needed to buy a replacement bulb all you needed to know was the shape and wattage then away you go. You can’t use wattage to gauge how much light there will be. When there was only incandescent technology available you could make the assumption that wattage was linked to light output but with energy efficient bulbs we need to rethink what we mean when we want the brightness of, say, a 60W bulb. Lumens (lm) is a measure of the total amount of visible light given off by a light bulb. This value is what we really need to use to describe how bright a bulb we want. 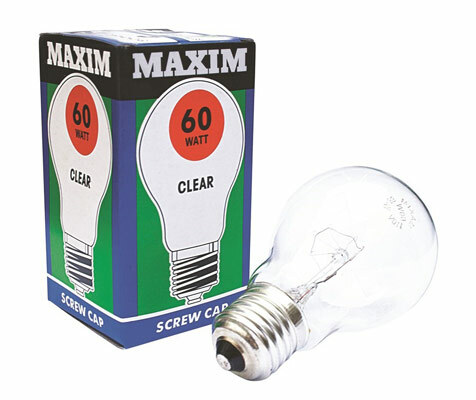 If we want to replace our 60W incandescent GLS bulb, which will give off approximately 7-900 lm, with a more energy efficient version then we need to check that the light output will be around the same level. Here we’ve found a 10W LED GLS which we can use as a direct replacement because it products 810 lm. Using this bulb you’ll have an energy saving of just over 80%, which is not only more environmentally friendly, but it’ll also reduce your electricity bill. 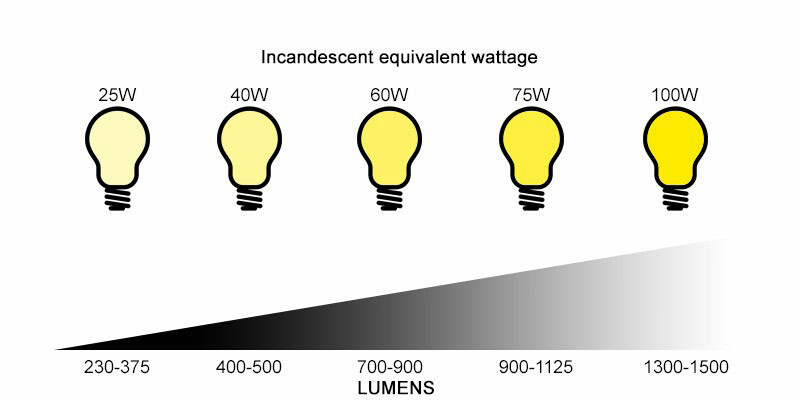 If you want to get a better understanding of how the wattage of different lighting technologies (LED, fluorescent etc) compare to the light output they produce then check out our Watts to Lumens guide. To help you find the correct replacement we’ve grouped our led section into their incandescent wattage equivalents based on lumen output. All you need to know is the original wattage. Since September 2010 EU legislation has required all packaging to be labelled primarily in terms of Lumens. This is so you, the buyer, can make a fair comparison between products. The colour of the light may also affect how bright we perceive the light to be. Around the home most people are used to a warm white appearance which is common to most incandescent bulbs. However, LED and compact fluorescent stick bulbs are available in a range of colour temperatures from warm white to daylight (which can appear slightly blue and cold). 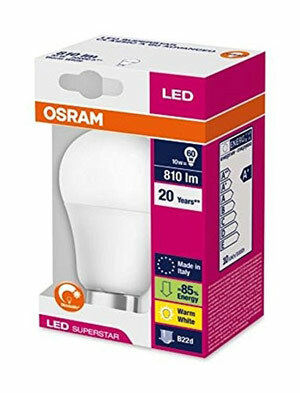 It’s important to check the colour of the bulb which again should be stated on the box and is included in all our product descriptions. If you're not sure which colour temperature to use then read our guide here.